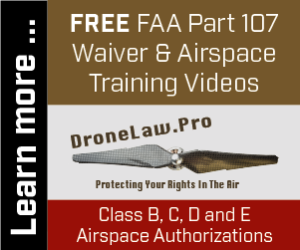 [From Traverse Legal’s Detroit Law Office] The FAA is starting to grant more waivers from Part 107. While they have issued a significant number of daytime waivers (if you are looking for training to file your own daytime waiver, we offer free training here), allowing operations from a moving vehicle or aircraft is a bit more difficult to obtain from the FAA. The FAA wants every drone pilot and operator to file their own waiver requests. They do not want drone lawyers, UAV attorneys or consultants to handle these for clients. Having said as much, we do assist with clients in training them to file their own waivers, and handling more complex waivers, but the FAA is correct. You do not want to be hiring a drone lawyer or attorney every time you a Part 107 Waiver. This is part of your core business. You need to be able to handle waiver and airspace authorizations yourself. One of the things you can do to assist your drafting of a Part 107.25(b) waiver is to reverse engineer waivers that have already been granted. Below is a PDF waiver granted to Helicopters West, LLC. We are breaking down the waiver provisions for you to help you understand what you should be including in your waiver request to the FAA. Whether you are in Detroit MI, Austin, TX, Miami Fl or somewhere in between, we have you covered. 14 CFR § 107.25(b), Operation from a moving vehicle, is waived to allow sUAS operations from a moving land or water-borne vehicle over other than sparsely populated areas, not carrying property for compensation or hire. 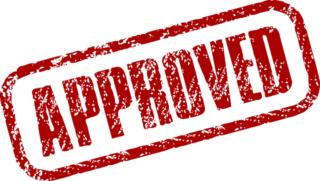 The FAA requires each waiver applicant to meet certain Performance Based Standards in order to be granted the waiver. Below are the Performance Based Standards and the analogues provisions that the FAA is requiring of the drone service company in order to use the waiver. Applicant must provide a method to ensure the dynamic area-of-operation is properly evaluated for potential hazards, and the risks presented to non-participating persons and property by those hazards are controlled or eliminated. Applicant must provide a method to ensure visual line of sight is maintained from a moving vehicle. Applicant must provide a method to ensure all persons involved in the operation are free of any distractions that may prevent them from fulfilling their duties. Applicant must provide a method to ensure loss of data link procedures account for dynamic location of remote pilot in command. Moving Vehicle sUAS Operations Special Provisions. sUAS operations may be conducted from a land or water-borne vehicle over other than sparsely populated areas. Operation not for transportation of property for compensation or hire. You do not want to “cut and paste” the above language or use a Part 107 form for your submission. You want to use the above information as a guideline to craft your own waiver request for operations from a moving vehicle. Good luck! The drone lawyers at DroneLaw.pro remain available to help if you need assistance.